This guide is intended to give a brief introduction to the world of emulation and will also teach you how to write one yourself from scratch. Personally I have been excited about emulators since the late 90’s. As I didn’t own a console back in the days (only had a C64), I was pleasantly surprised when I learned that you could use an emulator to run console games on the PC. I still remember playing Super Mario 3 on the PC using a SNES/Super Famicom emulator Snes9x and a few years later completing Metal Gear Solid using Bleem! (PSX emulator). These days however I’m more focussed on providing support to emulator projects of recent consoles such as: PCSX2 (Sony Playstation 2), Dolphin-emu (Nintendo Gamecube and Wii) and nullDC (Sega Dreamcast). While this guide expects you to have some basic knowledge of computer systems and assumes you know a program language, it should also be an interesting read for people who are interested in emulation in general. I think it’s important to first understand what an emulator is and isn’t. An emulator is a computer program that mimics the internal design and functionality of a computer system (System A). It allows users to run software designed for this specific system (Sytem A) on a totally different computer system or architecture (System B). Often people confuse a simulator with an emulator and vice versa. Just remember that these words aren’t synonyms. Pong is a 2D tennis game which was developed by Atari and ran on their own hardware. However, the game wasn’t just available on Atari systems, but also on rival platforms such as Amstrad, Amiga and the C64. 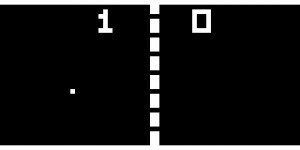 Since not every Pong game was licensed by Atari to run on these platforms, it also meant that not every game was running the code from Atari. 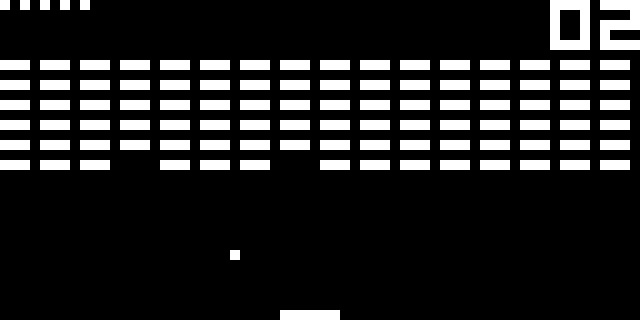 Basically what happened is that people created their own implementation (clones) of the game Pong. In this case they simulated the looks and game behavior of Pong. 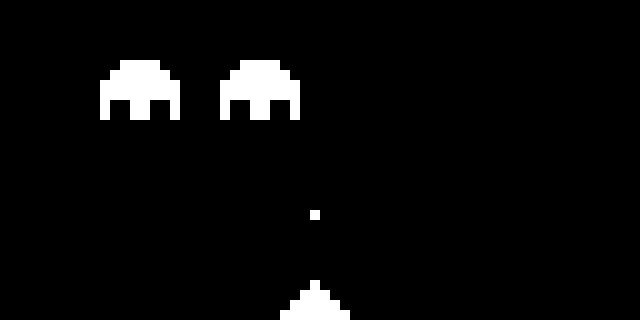 In case of an emulator, we choose not to re-implement the game Pong for our native system. Instead, we re-create the environment with a computer program which allows us to run the original machine code of Pong. A benefit of this is that it won’t just allow us to run Pong, but also any other application developed for that platform. The Chip 8 actually never was a real system, but more like a virtual machine (VM) developed in the 70’s by Joseph Weisbecker. 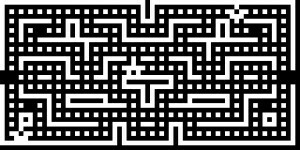 Games written in the Chip 8 language could easily run on systems that had a Chip 8 interpreter. 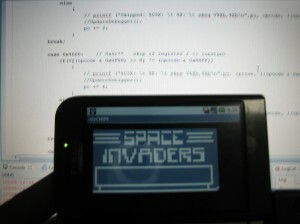 Why start with a CHIP-8 emulator? Writing a Chip 8 emulator is probably the easiest emulation project you can undertake. Due to small number of opcodes (35 in total for Chip 8 ) and the fact that a lot of instructions are used in more advanced CPUs, a project like this is educational (get a better understanding of how the CPU works and how machine code is executed), manageable (small number of opcodes to implement) and not too time consuming (project can be finished in a few days). Pick a programming language you’re familiar with (C/C++ or Java are common). Don’t use this project as a way to learn how to program. When you start writing an emulator, it is important that you find as much information as possible about the system you want to emulate. Try to find out how much memory and registers are used in the system, what architecture it is using and see if you can get hold of technical documents that describe the instruction set. In the case of the Chip 8, I would recommend taking a look at the Chip 8 description on Wikipedia. 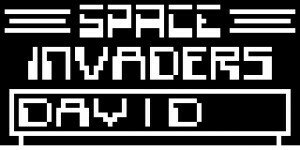 The graphics system: The chip 8 has one instruction that draws sprite to the screen. Drawing is done in XOR mode and if a pixel is turned off as a result of drawing, the VF register is set. This is used for collision detection. Interupts and hardware registers. The Chip 8 has none, but there are two timer registers that count at 60 Hz. When set above zero they will count down to zero. The system’s buzzer sounds whenever the sound timer reaches zero. It is important to know that the Chip 8 instruction set has opcodes that allow the program to jump to a certain address or call a subroutine. While the specification don’t mention a stack, you will need to implement one as part of the interpreter yourself. The stack is used to remember the current location before a jump is performed. So anytime you perform a jump or call a subroutine, store the program counter in the stack before proceeding. The system has 16 levels of stack and in order to remember which level of the stack is used, you need to implement a stack pointer (sp). Finally, the Chip 8 has a HEX based keypad (0x0-0xF), you can use an array to store the current state of the key. To give you an idea on how to design your emulator, I made a small example of a layout. It does not teach you how to use GLUT or SDL to handle graphics and input but merely shows you how the flow of your emulator should be. Line 3-5: In this example we assume you will create a separate class to handle the opcodes. Next we will look into the emulation cycle. Every cycle, the method emulateCycle is called which emulates one cycle of the Chip 8 CPU. During this cycle, the emulator will Fetch, Decode and Execute one opcode. During this step, the system will fetch one opcode from the memory at the location specified by the program counter (pc). In our Chip 8 emulator, data is stored in an array in which each address contains one byte. As one opcode is 2 bytes long, we will need to fetch two successive bytes and merge them to get the actual opcode. To demonstrate how this works we will be using opcode 0xA2F0. So what did actually happen? First we shifted 0xA2 left 8 bits, which adds 8 zeros. We will need to set index register I to the value of NNN (0x2F0). Because every instruction is 2 bytes long, we need to increment the program counter by two after every executed opcode. This is true unless you jump to a certain address in the memory or if you call a subroutine (in which case you need to store the program counter in the stack). If the next opcode should be skipped, increase the program counter by four. Besides executing opcodes, the Chip 8 also has two timers you will need to implement. As mentioned above, both timers (delay timer and sound timer) count down to zero if they have been set to a value larger than zero. Since these timers count down at 60 Hz, you might want to implement something that slows down your emulation cycle (Execute 60 opcodes in one second). Now that you know the basics of emulation and how the system works, it is time to put all pieces together and start coding the emulator. Before running the first emulation cycle, you will need to prepare your system state. Start clearing the memory and resetting the registers to zero. While the Chip 8 doesn’t really have a BIOS or firmware, it does have a basic fontset stored in the memory. This fontset should be loaded in memory location 0x50 == 80 and onwards. More details about how the fontset works can be found at the end of this guide. Another important thing to remember is that the system expects the application to be loaded at memory location 0x200. This means that your program counter should also be set to this location. After you have initialized the emulator, load the program into the memory (use fopen in binary mode) and start filling the memory at location: 0x200 == 512. Lets take a look at some more opcodes that might look daunting at first. This opcode calls the subroutine at address NNN. Because we will need to temporary jump to address NNN, it means that we should store the current address of the program counter in the stack. After storing the value of the program counter in the stack, increase the stack pointer to prevent overwriting the current stack. Now that we have stored the program counter, we can set it to the address NNN. Remember, because we’re calling a subroutine at a specific address, you should not increase the program counter by two. This opcode adds the value of VY to VX. Register VF is set to 1 when there is a carry and set to 0 when there isn’t. Because the register can only store values from 0 to 255 (8 bit value), it means that if the sum of VX and VY is larger than 255, it can’t be stored in the register (or actually it starts counting from 0 again). If the sum of VX and VY is larger than 255, we use the carry flag to let the system know that the total sum of both values was indeed larger than 255. Don’t forget to increment the program counter by two after executing the opcode. I have to confess that I couldn’t to figure out how to implement this opcode, so I used TJA’s solution. Draws a sprite at coordinate (VX, VY) that has a width of 8 pixels and a height of N pixels. Each row of 8 pixels is read as bit-coded starting from memory location I; I value doesn’t change after the execution of this instruction. As described above, VF is set to 1 if any screen pixels are flipped from set to unset when the sprite is drawn, and to 0 if that doesn’t happen. As the description of the opcode is telling us, the Chip 8 actually draws on the screen by drawing sprites. It will give us the location of where the sprite needs to be drawn (the opcode tells us which V register we need to check to fetch the X and Y coordinates) and the number of rows (N). The width of each sprite is fixed (8 bits / 1 byte). The state of each pixel is set by using a bitwise XOR operation. 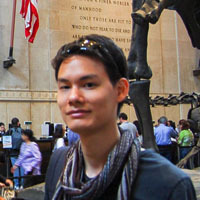 This means that it will compare the current pixel state with the current value in the memory. If the current value is different from the value in the memory, the bit value will be 1. If both values match, the bit value will be 0. You should use the binary representation to fill your array (gfx). However, before setting the value in gfx using the XOR operator, you will also need to check if any of the pixels changed from 1 to 0. If this is the case, you should set the VF register to 1 (This is basically a test for collision detection). Line 23: We changed our gfx array and thus need to update the screen. The Chip 8 system uses a simple HEX keypad that allows users to interact with the system. For our emulator this means we need to implement a method that will set the state of each key in the variable that handles the key states. Every cycle you should check the key input state and store it in key. It actually doesn’t matter what value you store, because opcode 0xEX9E and 0xEXA1 only check if a certain key is pressed or isn’t pressed. Opcode 0xFX0A only waits for a key press, and when it receives one, it stores the key name in the register and not the key state. Below you’ll find an example of the original keypad layout. It does not really matter how you implement the key mapping, but I suggest something as on the right side. This is the Chip 8 font set. Each number or character is 4 pixels wide and 5 pixel high. Look at the left example were we are drawing the number 0. As you can see it see it consists out of 5 values. Of every value, we use the binary representation to draw. Note that only the first four bits (nibble) are used for drawing a number or character. Hopefully this guide provided you enough information to get you started with your own emulator project. At least you should now have a basic understanding of how emulation works and perhaps a better understanding of how a CPU executes opcodes. I have included my own implementation of a Chip 8 interpreter below which you can use as a reference. The zip file contains a binary for Windows but also includes the full source code of the emulator. Because the full source code is supplied, I recommend only looking at chip8.cpp file as a last resort to see how I implemented a particular opcode. The file chip8.h and main.cpp should be safe to view without spoiling too much. Actually, main.cpp mostly contains GLUT code which you can reuse in other (non-emulator related) projects as well. Let me know if you find this guide useful! If you have questions or think that essential parts are missing, please use the comment section 🙂 ! Special thanks to the following persons (many only known by their pseudonym) who have helped me greatly with my own emulation projects in the past and present. Are you sure that you display opcode is correctly implemented? This actually overflows you gfx buffer since it starts at y = 30 until y = 35. But as you know your screen just has 32 rows. I think it doesn’t crash because its a C++ program and that the memory after gfx is still unused. However, take the C# implementation from Patrick and you will see that Pong will crash as soon as you press 2 on the keyboard and the left “Pong-Bar” reaches the top of the screen. But you can also notice it visually in your implementation because the “Pong-Bars” do not break correctly when they are overflowing the screen. Hello, I’d like some clarification on a section. ” Before running the first emulation cycle, you will need to prepare your system state. Start clearing the memory and resetting the registers to zero. 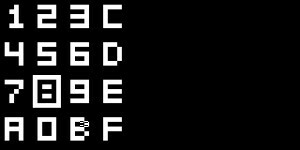 While the Chip 8 doesn’t really have a BIOS or firmware, it does have a basic fontset stored in the memory. This fontset should be loaded in memory location 0x50 == 80 and onwards. More details about how the fontset works can be found at the end of this guide. In the example you give for loading the fontset, you don’t offset memory by 80. However, in the example for loading the game, you do. What’s with that? Question, the article says to decode the first 4 bits of the OPCode but only uses the last 4 bits of it. why are the terms switched? 0xF0 means the last 4 bits are 1111 as it represents (end> 11110000 00001111 <start),. You have the right to your opinions. I just don't want to hear them.